Serfas' Inflator Levers help optimize the flat-fixing process. 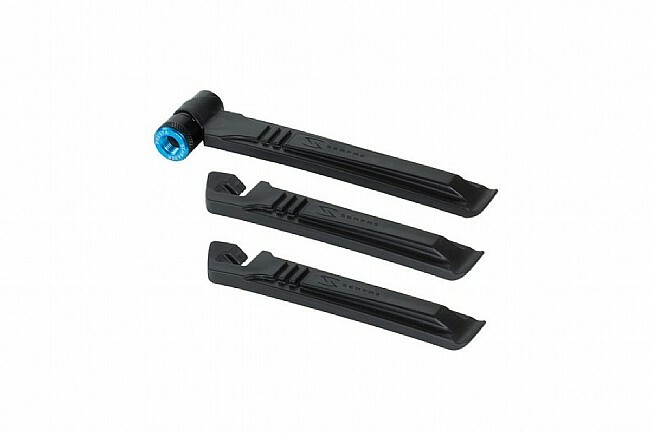 There are 3 tire levers, total, each with a dual-purpose design. 2 of the levers have integrated spoke hooks and the remaining lever has an integrated CO2 inflator that's compatible with both Presta and Schrader valves. Integrated CO2 Inflator - Presta and Schrader compatible. CO2 Lever Length: 5 1/4″.